A six-week statewide app-building challenge set by the State of Colorado prompted a team of local software developers, designers and entrepreneurs to compete against five other regions (Denver, Grand Junction, Fort Collins, Colorado Springs and Durango). BizLink Colorado (based in Durango, Colorado) earned 2nd place out of twenty-six teams that competed in the annual Go Code Colorado challenge. 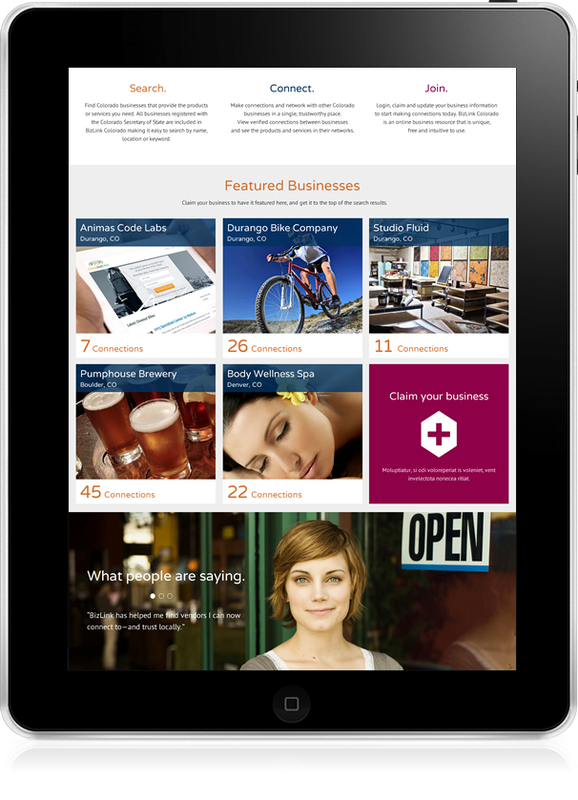 BizLink Colorado is an online application that connects businesses to businesses to promote and boost the Colorado state economy (1.6 million to be exact). The idea of connecting businesses to other businesses became the primary focus. Think of it as LinkedIn meets Angie’s List. It was fun to tap into the state’s open data sets for registered businesses. To address the state’s challenge to boost local economies, businesses could log in to easily ’claim’ their business as well as connect with other businesses throughout the state. 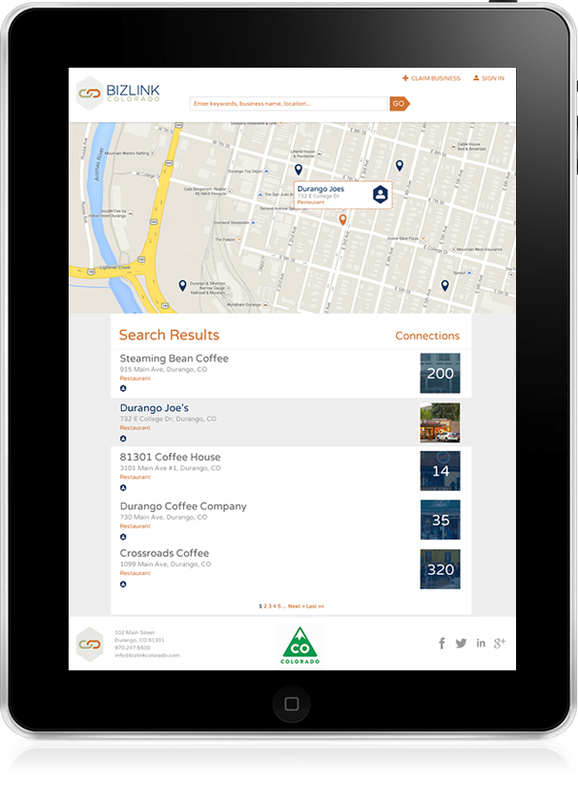 The web application utilized Google Maps and MapBox to help users locate other vendors they’ve traded goods and services with in order to build connections and boost reputations. The end result, the more connections, the more localized a community can become. Designed by Shawn Meek | Developed by Animas Code Labs.